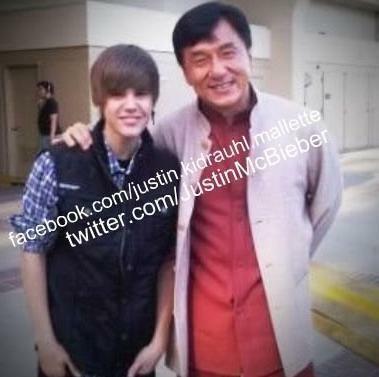 Justin Bieber&Jackie Chan. . Wallpaper and background images in the জাস্টিন বিইবার club tagged: justin bieber 2010 bieber fever. This জাস্টিন বিইবার photo might contain প্রতিকৃতি, ধনু, and চতুর. i ♥ jackie chan soooo much!